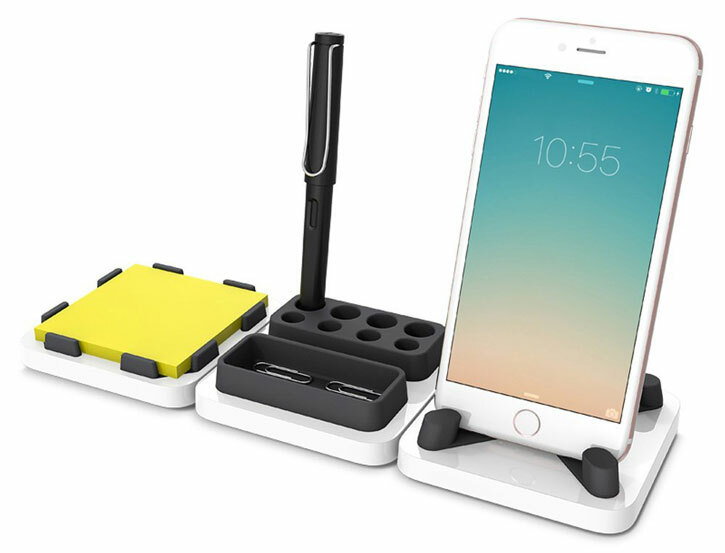 The MThings Smartphone Stand & Desktop Organiser consolidates the space on your cluttered desk, offering a holder for your phone as well as an elegant, convenient way to store office equipment like writing stationery and sticky notes. We're all familiar with the pain of an overly cluttered desk at work. MThings is here to help, though. 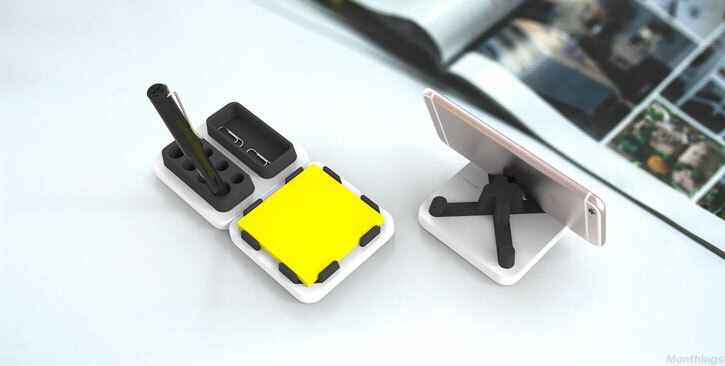 The Smartphone Stand & Desktop Organiser consists of three sleek, elegant "islands", each of which stores a different kind of item. 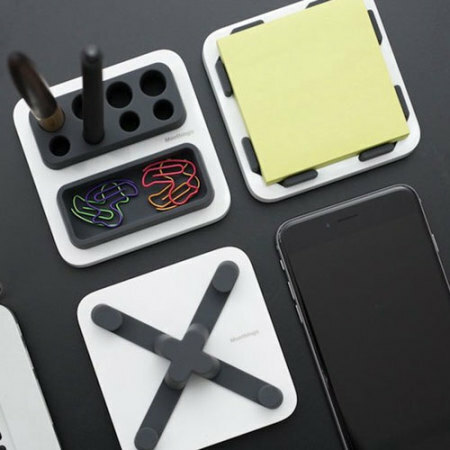 Say goodbye to that chaotic desktop with this handy, attractive storage solution. 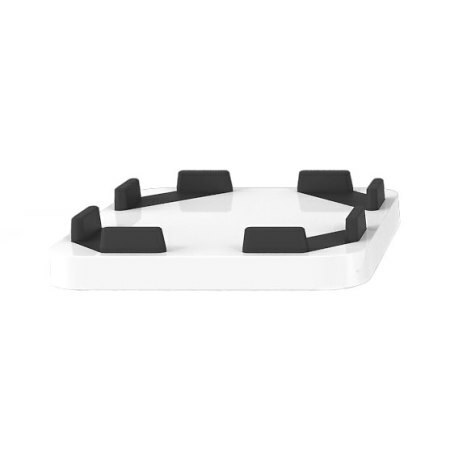 One storage island offers a sturdy stand for your smartphone or mid-sized tablet. 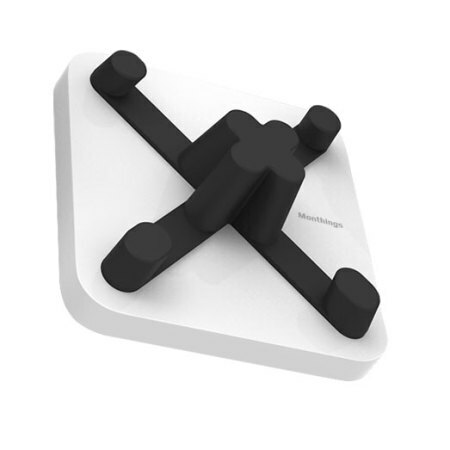 Smartphones of all shapes and sizes are supported, too, thanks to the universal design of the rubber legs which hold the phone in place. 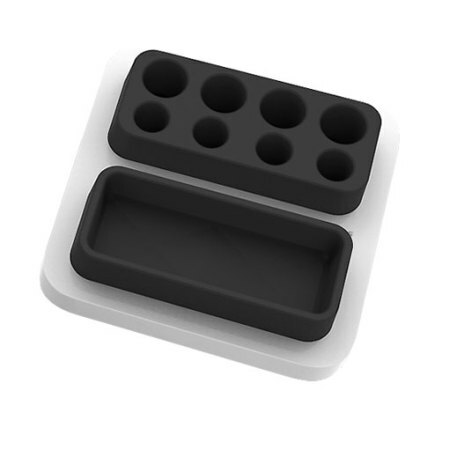 On the second island, there is a small pad for storing writing implements like pens, pencils and even small permanent markers, alongside a recess for your small, easily lost items like paperclips and micro SD cards. 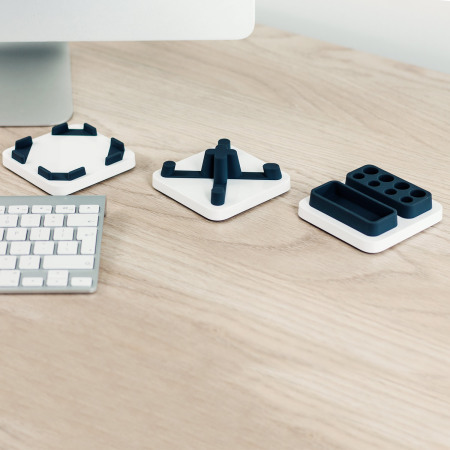 Your important items never need to be buried on your desk again thanks to these handy storage spaces. Remember important appointments, dates and times with the 3-in-1 Desktop Storage Stand's slot for sticky notes. 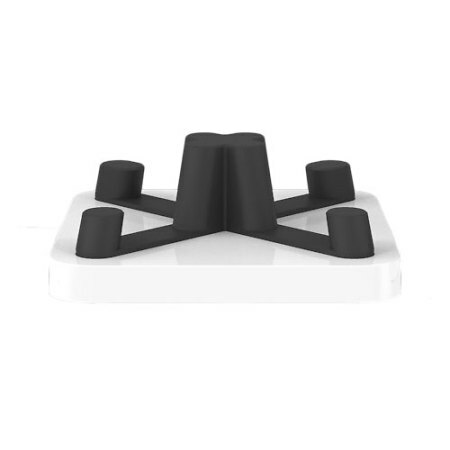 The individual "islands" of the MThings 3-in-1 Desktop Storage Stand can be placed in any order and are not joined together, so you can either cluster them together or store them in strategic locations around your desktop depending on your individual needs. 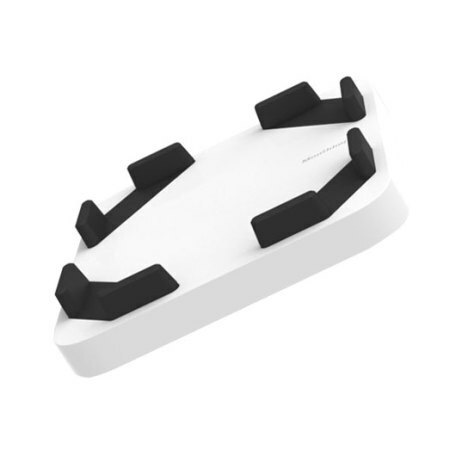 The three islands together are lightweight and portable, too, meaning you can easily transport them between work and home or even travel with them. 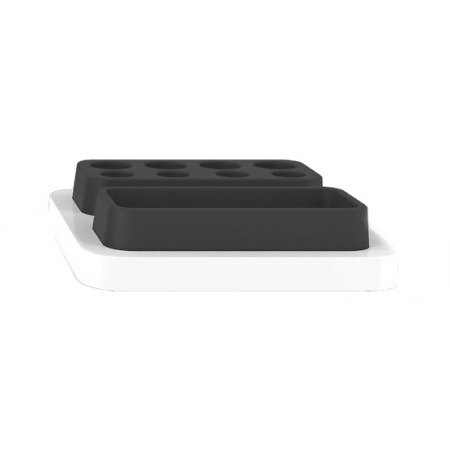 Although each island is great for its intended function, if you need to store anything else of a similar shape and size in the storage slots you can do so. 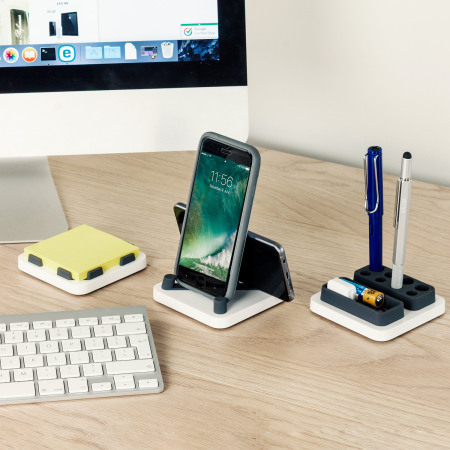 The MThings 3-in-1 Desktop Storage and Smartphone Stand is a truly universal way to keep track of your important possessions. 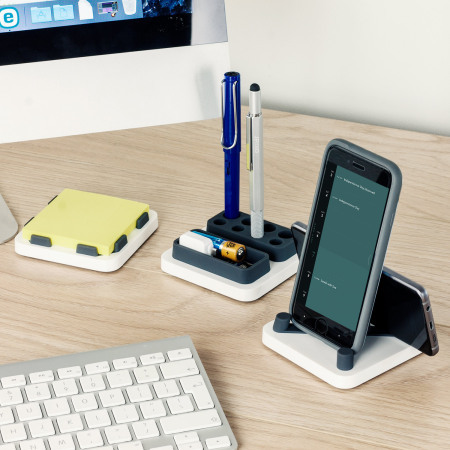 The MThings 3-in-1 Desktop Storage and Smartphone Stand is universally compatible across all smartphones, so no matter what device you have, you can be sure of safety and security with this stand. 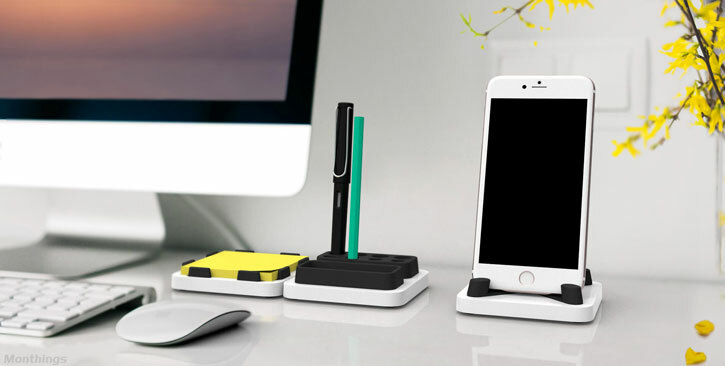 No matter how you like to look at your smartphone or tablet's screen, the MThings 3-in-1 Desktop Stand can accommodate you. 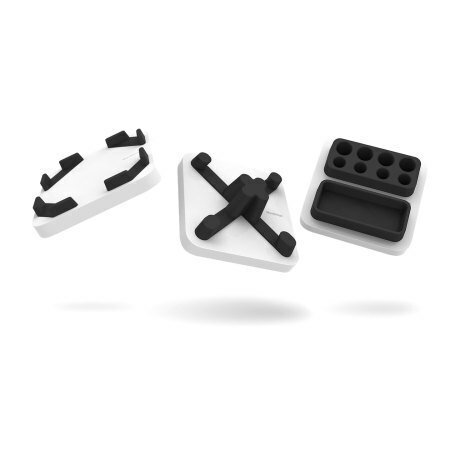 The sturdy, resilient rubber legs that hold your phone in its stand can support it regardless of its orientation, so you can view media, schedule work events and send messages all while your phone is secured by the grips. Please note: sticky notes not included.